Why Would a CFO Hire a CFO? Home > Blog > CFO Services > Types of CFO Services > Why Would a CFO Hire a CFO? As the financial leader of an organization, the CFO formulates financial direction and oversees multiple departments that execute on initiatives in support of that direction. The CFO’s position often encompasses several roles: financial strategist, financial steward, manager of the firm’s financial operating model, and financial catalyst. 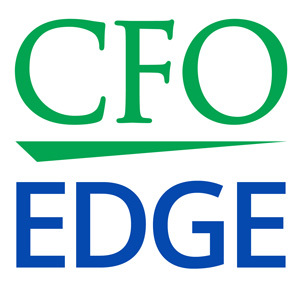 CFOs looking to excel must be proficient in each of these four roles. During periods of organizational transition or when faced with challenges that require specific expertise or additional capacity, many CFOs bring in an outside CFO. Three common areas that prompt this type of business engagement include strategic planning initiatives, formal audit preparation, and the areas of mergers, acquisitions and IPOs. The recent economic turmoil has caused CFOs to redirect their attention to the strategic planning process, prompting them to regain control of pieces that were previously delegated to financial department heads. Firms are now focusing more effort on determining the causes of financial outcomes. Leading CFOs use their experience and expertise to guide investor conversations, to assess various business model options and to weigh competitive advantages and disadvantages strategic options offer. The voice of an outside CFO often proves valuable during these meetings, particularly when the voice is backed with industry experience. An outside CFO that has been briefed on the organization’s strategic goals and financial situation can add valuable insight needed to confirm or change direction as needed to achieve targeted financial objectives. Despite the intended advance preparation discussed during the prior year’s close, most businesses find themselves scurrying for needed information per auditor requests. Effective audit preparation should begin in the first month of the fiscal year being audited. Documentation of controls, positions and transactions should be organized and easy to decipher. To ensure successful collaboration, a team member should be nominated as the lead to facilitate communication between the auditor and the financial team. Preparing for a formal audit is cumbersome, and it often diverts attention from the day-to-day operation of the business, ultimately impacting the bottom line. Hiring an experienced outside CFO to act as the audit preparation team leader can help mitigate audit complexity risks, manage audit costs and help to avoid business interruptions. With organic growth opportunity limited due to a sluggish economy, many businesses are turning to mergers and acquisitions to achieve their stated growth targets. Valuation, due diligence, and integration phases of these transactions present unique challenges for inexperienced CFOs. For organizations seeking to become public entities, the role of the CFO is often to seek investment from the financial markets in addition to designing and launching an IPO. Institutional investors expect financial briefings from the CFO. Beyond the initial IPO launch, CFOs are expected to provide ongoing financial and strategic perspective, particularly to top investors. The success of the CFO’s engagement throughout each phase of the IPO launch is often directly proportionate to post trading valuations of the underlying security. Inexperienced CFOs often turn to an experienced outside CFO during mergers, acquisitions and IPOs. Experience can enable the process to be smoothly facilitated, improving the chances of a successful outcome. The following engagements illustrate how contracted CFOs have engaged to address challenges related to strategic planning, business management and financial operations. When a $500 million publicly-held medical imaging company acquired a new line of business outside its core competency, immediate CFO-level expertise was needed to provide post-acquisition accounting integration. The contracted CFO also provided audit preparation and SEC filing preparation services. Also successfully addressed were complex software and multiple element arrangements accounting rules. A CFO was contracted to prepare for a first-time audit for a company that had never been audited before. As the company was considering a reverse triangular merger with a NASDAQ-listed foreign issuer, services also included a business case evaluation of the merger. When analysis determined the merger was not advantageous, the deal was killed. The contracted CFO was retained to complete the audit. When a large international consulting company faced challenges with revenue recognition that required restatements, a contracted CFO addressed both improper accounting for intangibles as well as improper accounting for affiliates’ foreign operations. The revenue recognition root cause error was determined and corrected. In addition to developing policies and procedures to ensure correct financial statement preparation, the contracted CFO set up foreign currency transaction and translation accounting. Leading CFOs understand that contracting for advice or support is both a sign of leadership strength and a business case-justified return on investment. When a seated CFO seeks a second opinion, validation of a concept or professional guidance through uncharted territories, an outside CFO can provide the needed expertise and capacity that deliver tremendous value to the company and its executive leadership team.